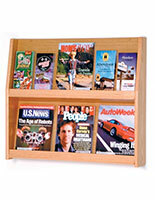 This Magazine Rack Is A Great Choice For Businesses! 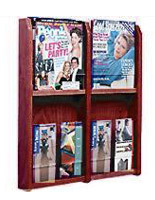 We Offer This Magazine Rack With Quick Shipping! 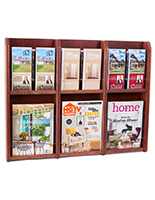 This magazine rack is a wall-mounted fixture with six independent pockets for display. 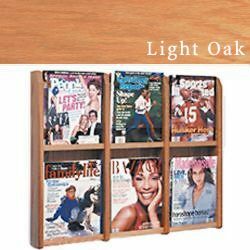 The all-wood construction features a light oak stained finish. 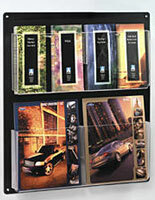 Each pocket has a clear acrylic face to expose the entire magazine cover. 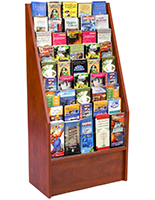 Removable dividers allow for splitting each pocket into smaller holders for folded borchures.